Since the first child, Louis Brown, was born with the technique of in vitro fertilization (IVF) in 1978 in UK, assisted reproductive techniques have been continuously developing, bringing happiness to millions of subfertile or infertile couples around the world. The IVF technique has been widely applied, especially in the combination with other advanced techniques, to increase the pregnancy rate. 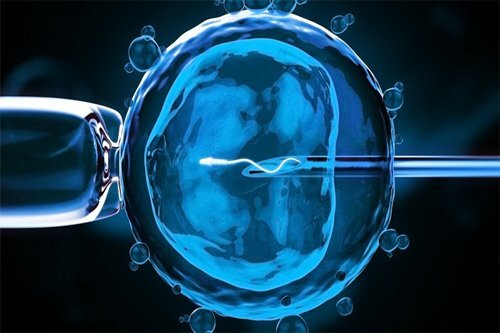 In Vitro Fertilization (IVF) is an assisted reproductive technique in which egg is fertilized by a sperm in vitro instead of the fallopian tubes as natural. Fertilized eggs (then known as embryos) are incubated and after that transferred to the uterine cavity. 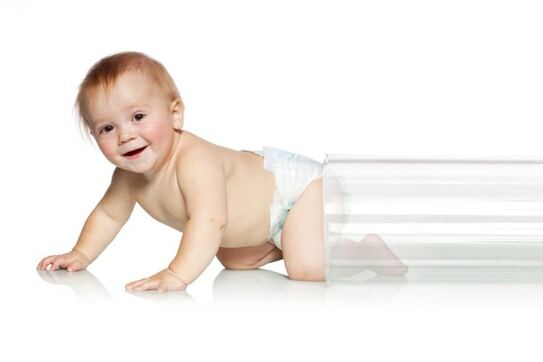 There, the embryos implant and develop in the same way with that of natural fertilization. In Vietnam, the technique was first successfully applied in 1998. There are now two main IVF techniques: classic IVF and IVF/ICSI and the IVF/ICSI offers higher performance. With conventional IVF technique, the eggs are allowed to contact with thousands of sperm in a special dish and put in an incubator simulating natural uterine environment. The fertilization process takes place in the laboratory artificial conditions and the fertilized eggs (embryos) then are transferred into to the woman’s uterus using a special catheter. In conventional IVF, eggs are fertilized “naturally” by sperm to create embryos. ICSI is a technique using a system of micromanipulation tools to inject sperm directly into the egg cytoplasm, thereby increasing the chance of fertilization. ICSI was first reported to be succeed in 1992. Thanks to it, embryo is created by only one sperm and one egg. Therefore, this technique could be applied to cases of seriously abnormal sperm or fertilization using sperm retrieved surgically from the epididymis or the testis to increase the fertilization rate and ensure that there is embryo in the IVF cycle. Who is In Vitro Fertilization (IVF) suitable for? The couple will be examined and consulted to take some basic blood tests. Particularly, the reproductive hormonal profile and antral follicles count (AFC) should be done on the second day of the woman’s menstrual cycle. The medical record is completed upon receiving all test results. The specialist then consults with the couple to define most suitable treatment plan. The female patient is injected with medications to hyperstimulate the ovaries in 10 – 14 days. During this time, the female patient will be asked to come to the clinic 3-4 times for ultrasound and blood tests to monitor the development of these follicles. When the follicles are mature, another hormone will be injected to trigger the ovulation, which must be done at the exact time indicated by the specialist. About 36-40 hours after administration of injection which triggers ovulation, the specialist will retrieve the mature egg vaginally. The technique is perform under anesthesia, therefore, fasting is required within 6-8 hours before the procedure. The technique lasts about 10-15 minutes. At the same time, sperm of her partner is prepared or thawed from frozen sample (if available/necessary). After the egg retrieval, the female patient will be monitored closely. If her status is good, she will be discharged from hospital after 2-3 hours. Retrieved eggs and sperm are moved to the laboratory for fertilization/ embryos creation. The embryos will be cultivated in the lab for 2-5 days. During the endometrial preparation process, the female patient is indicated some oral and vaginal medications. If the embryos are transferred in the same cycle that they are created, the process is called fresh embryo transfer. In case that the situation is not good enough for fresh embryo transfer, all the embryos that meet the standard quality would be frozen for the later use. The couple will be informed about the quality and quantity of successful embryos. They will then discuss with their specialist to decide the number of embryos to be transferred. The remaining embryos would be cryopreserved. When the uterine lining is thick enough and favorable for the implantation and development of the embryos, the specialist will transfer the embryos. After embryo transfer, the female patient needs to stay about 2-3 hours at the hospital. During 2 weeks after embryo transfer, the woman is required to continue taking hormonal medication as well as relax and follow the instruction of the doctor. For frozen embryo transfer, the woman is required to take medications and ultrasound to monitor the development of the uterine lining for 14-18 days from the second day of the suitable menstrual cycle. The embryo transfer date will be indicated by the specialist. 2 weeks after the IVF, the patient will take beta-hCG test to know the result of pregnancy. 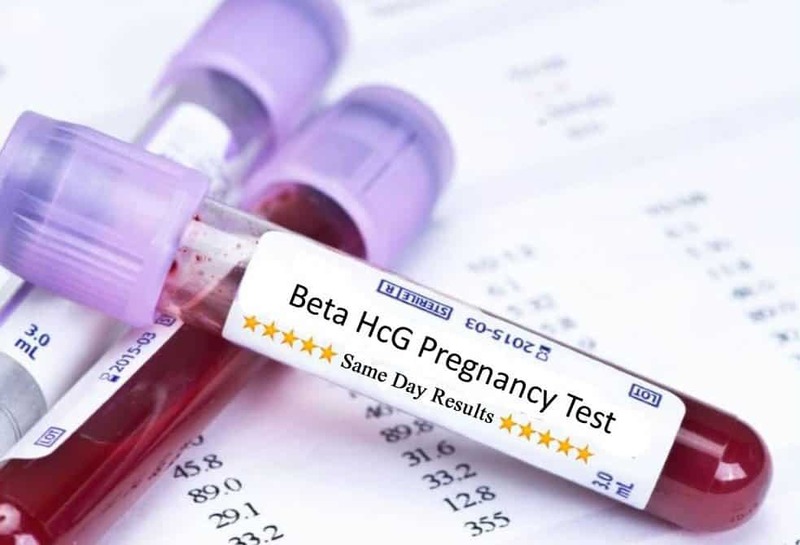 If the beta-hCG concentration is higher than 25 IU/l, then the woman was pregnant. This concentration may vary on each person. 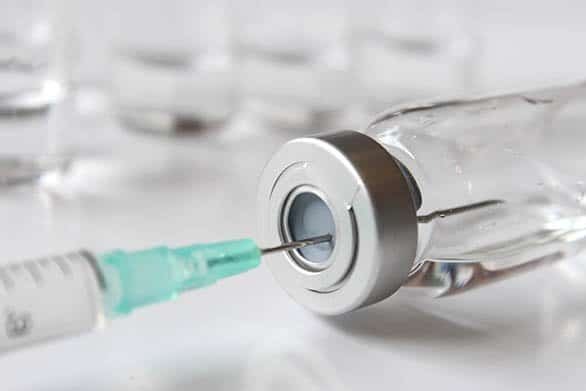 – If the beta-HCG concentration increases by 1.5 times in 2 days, that means the fetus is developing well and the mother will keeps using prenatal drug and wait to the next visit for ultrasound to check the Gestational sac and fetal heart. – If after 2 days the beta-hCG concentration remains unchanged or decreased, it needs further monitoring. Chemical pregnancy is defined when the concentration is negative (<5 IU/l). If the woman is not pregnant in that cycle, the frozen embryos will be transferred to her uterus in the next cycles without taking early steps of ovarian stimulation and egg retrieval. The success rate of In Vitro Fertilization (IVF) is higher than that of other techniques such as Intrauterine insemination (IUI). IVF also opens up more opportunities for couples whose infertility causes are unknown as well as patients with serious fertility problems. In addition, the assisted technique – Intra cytoplasmic sperm injection (ICSI) is a miracle for male patients with low sperm count or low quality sperm. Although IVF is considered one of the most effective assisted reproductive techniques, not everyone could get pregnant right at the first cycle. The success rate depends on various factors, including causes of infertility, the age of the women, previous treatment and the doctor’s expertise and experience as well as the quality of the clinic. 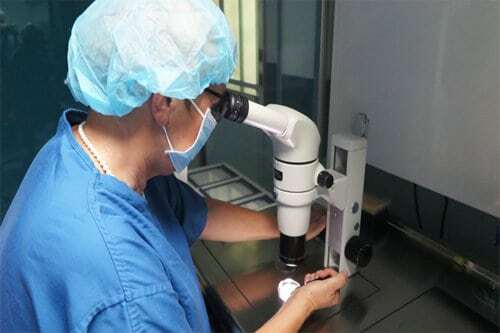 Nowadays, the IVF success rate is about 40-45%, in Vietnam the rate is about 35-40%. The rate should decrease when the woman gets older. The success rate significantly reduces if the woman is older than 35 years old and will decrease dramatically when the age is over 40. 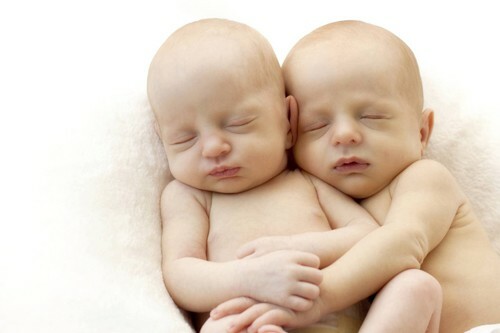 Apart from the success rate, cost is most concerned by couples who are considering to take IVF cycles. In Vietnam, the cost range for IVF is about 70,000,000 – 100,000,000VND. The costs would much depend on the female’s condition and different plan of treatment. The estimate cost could be defined after the plan and protocol are decided. 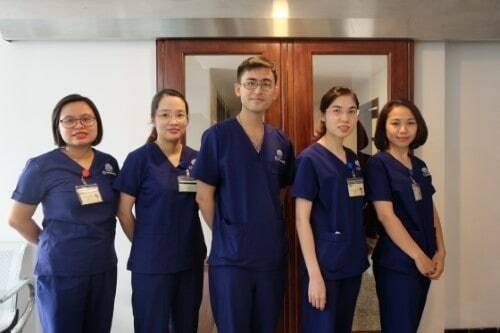 Aiming to be the leading center in Vietnam and helping infertile couples to pursuit the happiness of having baby, Hong Ngoc IVF Center always focuses on updating the world’s most advanced assisted reproductive techniques. We are offering various techniques, especially IVF with high success rate. At Hong Ngoc IVF Center, all steps of IVF procedure take place in a safe and sterile environment of the modern IVF laboratory equipped with hyper-clean devices and air controlling system. Moreover, Hong Ngoc IVF Center boasts latest facilities and equipment which are rare in Vietnam such as Multi-room Incubator which allows embryos to be incubated in separate spaces, ensuring that it won’t be affected by others during the incubating time. The incubator is equipped with camera that continuously taking photos. These photos showed on a screen help embryologists to monitor the embryos’ development without opening the incubator: no turbulence at all. With modern facilities and experienced specialists who have been studied and worked in the Czech Republic, Hong Ngoc IVF Center is proud to be one of the most ideal choices for infertile couples in their journey of finding family happiness.